This necklace is made from fine Sterling Silver wire using the Viking Weave technique. 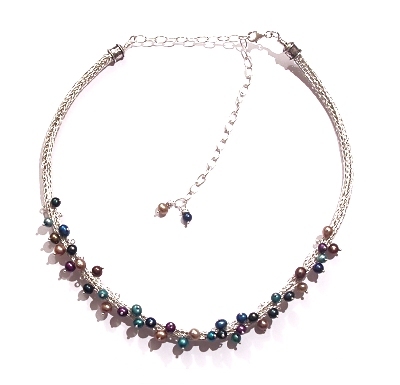 Once I'd made the necklace I added some beautiful pearls to add some colour and texture. Viking weave is really easy to learn and so versatile- and incredibly satisfying when you pull it through the draw-plate and it all comes together! This necklace will be taught in my Viking Weave Class.